Have You Been Looking for an Experienced and Effective Lawyer SEO Consultant That Is Trusted by Other Lawyers? There’s no denying that the digital landscape for law firm marketing breeds stiff competition, particularly for law firms and solo practicing lawyers who need trustworthy lawyer SEO. The reality is that it’s not enough to “do some blogs” because you have to, or just blasting your website with irrelevant and boring content, or to stupidly compete only via pay-per-click. If you don’t have a comprehensive marketing strategy that’s being actively designed and implemented by a seasoned digital marketing professional, you’re at a huge disadvantage! Getting to the first page is great, but it’s only the first of many equally important steps to building your firm’s online success. 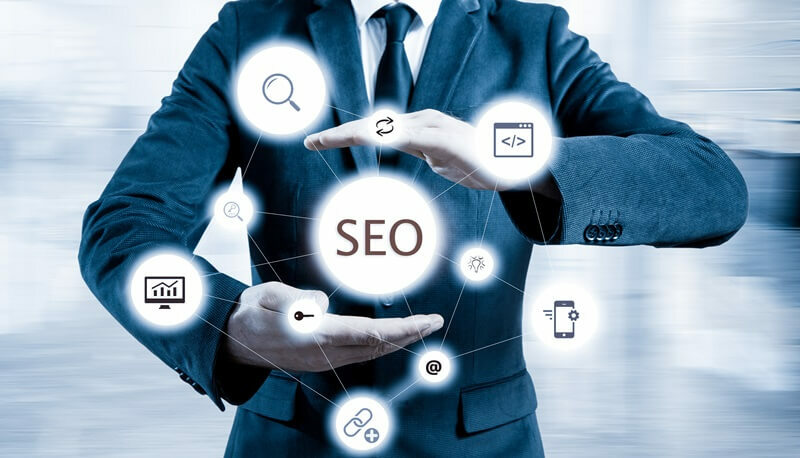 At Foster Web Marketing, we know that these days effective lawyer SEO encompasses so much more than merely your law firm website’s keyword search rankings. You need trustworthy and dedicated professionals delivering the full spectrum of digital marketing services to assure that your law firm maintains consistent and accurate online. Strong organic search rankings derived from the most effective practices for content optimization. Consistent local search visibility so your closest customers can connect with you quickly and easily. Reputation management strategies designed to get reviews from your best clients, which in turn helps your lawyer SEO. Proven, effective white-hat link-building campaigns that give your site the authoritative backbone it needs to thrive. Cost-effective, positive-ROI, multi-channel paid advertising campaigns that leverage every opportunity digital media provides. Email marketing campaigns that will keep your clients informed, and keep your brand at the top of their minds. If you know that succeeding in today’s digital landscape is much more difficult than just having a website, and understand the benefits of building long-term visibility through proven SEO best practices for law firms, then we’re interested in working with you. When you partner with our marketing services team, you gain access to creative and driven attorney SEO pros with over 30 years combined digital marketing experience. Your strategist will work with you to craft a comprehensive strategy designed to meet your specific goals for today, this year, and long-term. How Do Our Law Firm SEO Strategists Work With You? We work best with those who are motivated and passionate about building their firm’s long-term success in the right way. Whether you need marketing education and guidance or the collaboration of another industry mind, we craft the solution you need. Already have a great marketing team, but want to make sure they’re staying up on cutting-edge developments? Does your marketing director need another marketing pro to bounce ideas off and get questions answered? Some of our most successful relationships are these team efforts. We’ll take the lead and make sure your team is delivering you the results you require. Not all law firms have a marketing department. If you’re a small firm or solo practitioner, that doesn’t mean you can’t be successful! Drive and determination are all that’s needed to work with our SEO team. We’ll take the reins of your marketing and make sure you’re pointed in the right direction for growth, while at the same time providing you the education, guidance, and hands-on training you need to understand what goes into building a successful marketing strategy for your growing firm. If you’re a hands-on learner, you may be interested in our marketing consulting program. You get direct access to our team for one-on-one training, strategic planning meetings, performance reports, as well as the expert help from our pros if the going gets tough. Our Deep-Dive program is designed to give you every advantage you need to top your competition. We’ll prepare and deliver comprehensive documentation outlining precisely where your issues exist and how to fix them. A thorough examination of your firm’s focus and targeting. Are you delivering your message to those who need it most? A robust website performance analysis. Where do you generate traffic currently? How can that be improved? A review of your site’s usability and conversion ability. Are you getting traffic, but can't seem to convert those visitors? Content optimization audit. Do you have the right content, written about the right topics, and written in a way that adheres to current SEO best practices? We’ll show you what needs to be fixed and provide suggestions for future production. Competitive analysis. We’ll discover where your competitors are beating you, and how to fix it. Ready to Work With a Law Firm SEO Company That Cares About Your Success? Beware: There are many companies out there promising lawyer SEO expertise. All you have to do is search “Attorney SEO company” on Google, and you will see thousands of results. Keep in mind that while SEO can be just what you need to jumpstart your law firm's online marketing, if done wrong, it can take your website down. You need to be very careful about the medical or legal web marketing company you choose to hire. To find out more about how we can help you expand your legal practice through search engine optimization, contact us today at 888-886-0939 or fill out our contact form. Tom Foster and the Foster Web Marketing Team provide quality web marketing services. Tom's personal, hands-on approach and responsiveness to ever-changing business needs sets an example for the way in which everyone on his team conducts business. I believe Tom Foster and Foster Web Marketing stay at the forefront of web marketing solutions. They put forth contemporary, easily navigable, cutting-edge design. More importantly, their proprietary and robust content management platform allows control to make continual changes to the web without the need to rely on programmers. I am highly satisfied with the service provided by Tom and the Foster Web Marketing Team and recommended his company to others. This team is top-notch!